Gujarat gives shelter to an enormous transportation network which includes state highways, national highways, district roads, district highways and rural roads (Panchayat and sugarcane roads). Gujarat comprises 13 national highways that cover a distance of 3245 kilometers and above 300 state highways that cover approximately 19761 kilometers of distance. The broad network of railways and roads in Gujarat connect various parts of the state as well as with the other parts of India. Apart from this, Gujarat also boasts of numerous airports which meet the needs of airline passengers. With the help of all these highly developed transportation facilities in Gujarat, travelling has become faster and easier for the travelers. The GSRTC is an organization to offer efficient road transport services to the public. The GSRTC was launched on 1st May in the year 1960. The main aim of the GSRTC is to offer bus services within the state of Gujarat as well as its neighboring states. 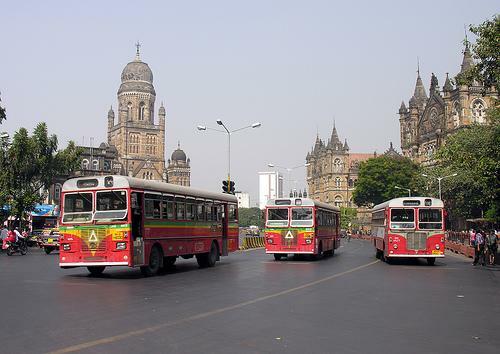 The GSRTC started its journey with a fleet of 1767 buses, 76 depots, 7 divisions and seven divisional workshops. And today it has around 8000 buses, 226 bus stations, 126 depots, 16 divisions and around 1554 pick-up stands. GSRTC introduced the GPS based bus tracking system for the first time in the luxury buses. For student and daily passes a computerized pass issue system has also been introduced. GSRTC has introduced around 7700 electronic ticketing machines in all the seven thousand schedules. The provident fund and pay bill system of the workforce has been completely computerized. The divisional stores and central stores have been computerized. The inventory management system has been employed effectively. An E tendering process has also been set up. Statistical analysis is also done by computerized system. GSRTC has started its personal website www.gsrtc.in. This website consists of online time table for the express services, e ticketing for people and online reservation system for passengers. GSRTC has also launched the “Public Smart Card” base passes for the daily passengers. GSRTC also offers an online recruitment for employees for all groups. It connects major cities, rural regions and tinier townships inside the Gujarat state. This kind of service connects various cities of Gujarat with the neighboring states like Madhya Pradesh, Maharashtra and Rajasthan. This type of service connects important cities such as Ahmedabad, Vadodara, Vapi and Rajkot. This type of service is presented for moving goods. City bus services are offered by the GSRTC in the cities like Surat, Vapi, Baroda, Ahmedabad and Gandhinagar within the Gujarat state. Apart from the aforementioned services the GSRTC also offers exceptional bus services for colleges, religious sites, industrial areas, schools and various events. GSRTC has introduced luxury buses with the latest facilities on tourist spots throughout the Gujarat state and even out of the state. 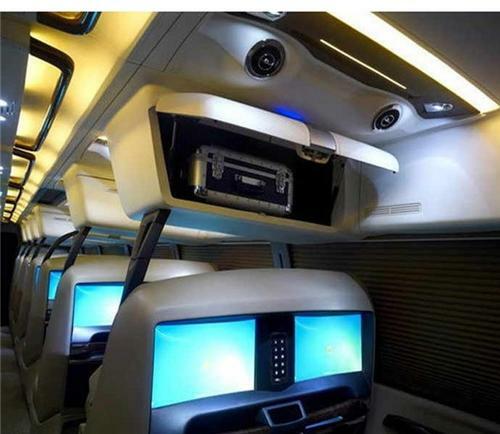 These luxury buses are equipped with wireless internet service. All the luxury buses are compatible with GPS system and consist of 2 LCD screens, one LED board at the front to indicate destination and charger points in each row of the seats to charge mobile and laptop. Last but not least each seat consists of a personal AC vent. The luxury bus services run from the city of Ahmedabad for Surat, Dwarka, Vadodara, Bhavnagar, Somnath, Gandhidham, Rajkot, Mount Abu and Srinathji. Moreover, these services also run from Palitana, Surat, Palanpur and Vapi to Mumbai. 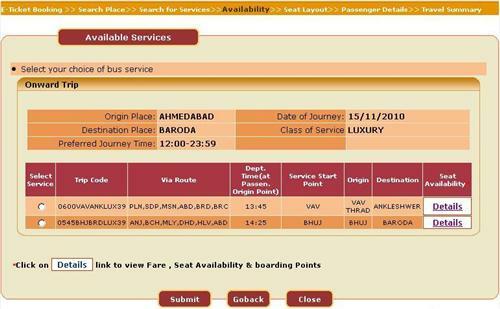 There is also a direct service from Surat and Vadodara to reach Srinathji. 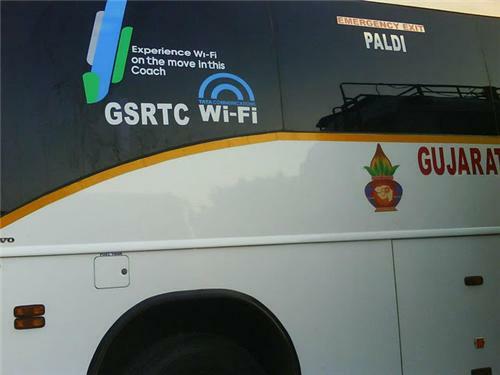 GSRTC offers free wi-fi internet access to the passengers traveling in Volvo buses that run between Ahmedabad and Rajkot. The various kinds of buses run by GSRTC are express, luxury, semi-luxury, intercity and ordinary buses. One can choose any kind of bus as per their own preference and comfort. Seater, sleeper and semi sleeper buses are also there for the passengers. Seater buses are recommended for short trips, whereas for long trips sleeper buses (that offer large space and maximum comfort) should be chosen. In order to book tickets for any kind of bus, one can avail the online bus ticket booking services offered by GSRTC on its website. With this kind of fast ticket booking system one can book tickets for a range of GSRTC buses including AC seater, Non AC seater, Volvo AC, AC sleeper, Non AC sleeper and Volvo AC sleeper buses. 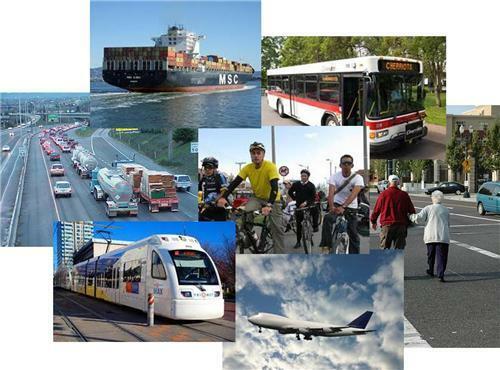 The efficient road transport system of Gujarat offers some of the best highways to facilitate traveling on the roads. National Highway 14: This highway is 450 km long. It starts at Beawar in Rajasthan and ends at Radhanpur in the state of Gujarat. Sojat, Sumerpur, Sanderao, Sirohi , Sheoganj, Abu Road, Raipur, Pindwara, Pali, Deesa, Palanpur and Bhildi are the other cities which this highway touches on the way. National Highway 6: The length of this highway is 1949 km. It starts from Hajira in Gujarat and terminates at Kolkata, West Bengal. The NH6 passes through the important cities like Surat, Amravati, Dhule, Bhandara, Nagpur, Durg, Raipur and Mahasamund and then Sambalpur and lastly at Kolkata. National Highway 113: This highway starts at Nimbahera in Rajasthan and ends at Dahod, Gujarat. National Highway 15: The length of this highway is 1526 km. NH 15 starts at Pathankot in Punjab and passes through Amritsar, Tarn Taran Sahib, Kotkapura, Zira, Ganganagar, Bathinda, Bikaner, Jaisalmer and then Barmer. This highway finally terminates at Samakhiali, Gujarat. National Highway 228: This highway is 374 km long. NH 228 starts at Sabarmati Ashram, Ahmedabad and ends at Dandi. In between it passes through Nadiad, Anand, Surat and Navsari. National Highway 59: The length of this highway is 1735.5 km. This highway starts at Ahmedabad in Gujarat and ends at Gopalpur, Orisha. National Highway 8: This highway is 1428 km long. The NH 8 is considered to be the busiest highway in India because it connects Delhi (capital of India) to Mumbai (financial capital) and passes through important destinations like Ajmer, Gurgaon, Surat, Ahmedabad, Vadodara, Udaipur and Jaipur. National Highway 8A: This 618 km long highway is an Indian National Highway which lies completely inside the Gujarat state. The NH 8A connects Ahmedabad to Narayan Sarovar(situated in the Kutch district of Gujarat). In between the NH 8A touches some important destinations like Limbdi, Wankaner, Sayla, Morvi and Kandla. National Highway 8B: Like NH 8A the NH 8B is also lies totally within the Gujarat state. The length of NH 8A is 206 km and it connects Bamanbore to Porbandar. This highway passes through the cities like Rajkot, Jetpur, Gondal, Upleta and Ranavav. National Highway 8C: This highway also lies within Gujarat and is just 46 km long Indian National Highway. It starts from Chiloda and ends at Sarkhej. NH 8C passes through Gandhinagar which is the main destination on this highway. National Highway 8D: The length of this highway is 127 km. It starts from Jetpur and terminates at Somnath. On the way it crosses destinations like Junagarh, Keshod and Veraval. National Highway 8E: This 445 km long highway is located totally inside the Gujarat state. It connects Dwarka to Bhavnagar. The NH 8E passes through the main destinations like Dwarka, Bhogat, Mangrol, Porbandar, Somnath, and then Kodinar, Una and finally Bhavnagar. This is the first railway station which launched the hand push luggage trolley service for the commuters. The charge for a single luggage trolley is just 5 Rs. ATMs of major banks like State Bank of India, Union bank of India, Canara Bank, ICICI Bank, Bank of Baroda, Dena Bank etc. have been set up. Vadodara railway station was constructed in the year 1861 by Maharaja Khanderao Gaekwad. This is one of the busiest stations of India and also of Gujarat state. This station is also one of the biggest electric locomotive sheds in the Western Railway Zone. The Surat Railway Station was constructed in the year 1860. This station lies on Ahmedabad Railway Station-Vadodara-Mumbai railway route. It is linked to Mumbai, Hyderabad, Delhi, Ahmedabad, Chennai, Kolkata, Bangalore, Jabalpur, Indore and many more important stations of India by numerous trains. Inside the Station you will find ATMs of Axis bank, State Bank, Canara Bank, Dena Bank and also ATM's of some other bank in Main Building (Platform-1 Side). Food Express Restaurant which is opened for all 24 hours is located at 1st floor. The Mumbai Rajdhani express train also halts at the Surat Railway Station. 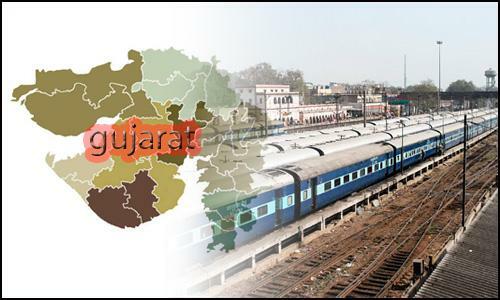 The Jamnagar city in Gujarat boasts of one and only railway station which is known as the Jamnagar Railway Station. This station comes under Rajkot division’s Western railway zone. The owner of this station was Jamnagar and Dwarka Railway during the period of Princely government. In the year 1897 the Rajkot-Jamnagar line was launched. In 1922, the Jamnagar-Okha line was initiated by the Jamnagar and Dwarka Railway. In 1948, April the Jamnagar and Dwarka railway combined with the Saurashtra railway. Thereafter, in the year 1951 on 5th Nov, the Saurashtra railway joined with Western railway. The Porbandar Railway Station comes under Bhavnagar division’s Western Railway zone. During the time of Princely reign this station was possessed by the Porbandar State railway. In 1888 the Porbandar-JamJodhpur metre gauge line was launched and in 1948 it was joined into the Saurashtra railway. In 1951 on 5th Nov the Western railway undertook it. Later in 2011, the gauge conversion of the Wansajaliya to Jetalsar was accomplished which facilitated connectivity to the Somnath city. Gujarat is one of the most sought-after tourist spots in India. The state is not only preferred by the domestic tourists but it is also well-liked by the international tourists as well. Therefore, in order to facilitate the connectivity for both, the government offers numerous airports in Gujarat. There are total 10 airports in the state out of which one is the international airport which is located in Ahmedabad. The rest of the airports in Gujarat are well-connected to the other important cities of India such as Kolkata, Delhi, Mumbai and many more. There are numerous national as well as international flights which ply from these airports for the ease of the tourists. The Sardar Vallabhbhai Patel International Airport located in Ahmedabad city is the one and only International airport of Gujarat. This airport is situated in Hansol which lies at a distance of 9 kilometers in the north of the central Ahmedabad. The airport lies at a distance of 8 km from the railway station of Ahmedabad. 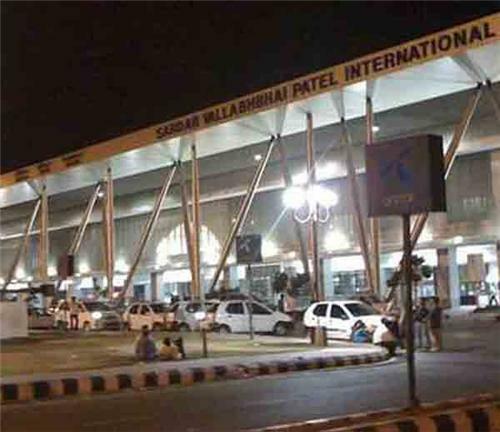 Sardar Vallabhbhai Patel International Airport occupies an area of 1124 acres and comprises 4 terminals- domestic, cargo, international and secondary traffic terminal. The 4th terminal has been inaugurated lately. There are 45 parking areas in the airport. Domestic and international both the terminals have 4 aero-bridges. The terminal 1 which is the domestic terminal occupies an area of 45000 square meters and it has 30 check-in counters in total. The terminal 2 which is the international terminal has an area of 41000 square meters and has 32 check-in counters. 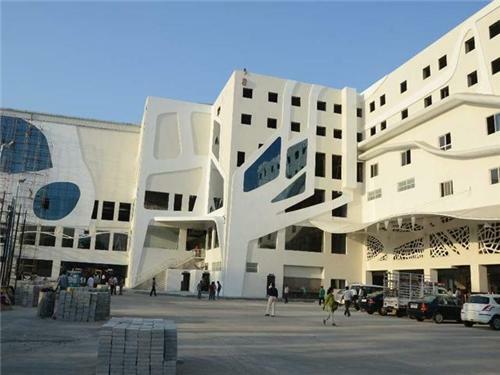 Located at the Magdalla road of Surat this airport is the newest domestic airport that has been launched in Surat. Read More Here. Bhavnagar Airport is located 9 kms away from Bhavnagar city. This airport is located near Gandhidham at a place known as Kandla. The Jamnagar airport is a domestic airport of Gujarat which is situated approximately 10 kms away from the Jamnagar city. The Porbandar Airport is located 5 kms away from the Porbandar city. Bhuj Airport is situated 5 kms away from the Bhuj city. This is another domestic airport of Gujarat which is located 5.7 kms from the Vadodara city. This airport is located 3 kms away from the city of Keshod in the district of Junagarh. can you tell me about the air ticket charges from bharuch to patna and also give me the details of flights to patna? There is no direct flight from Bharuch to Patna. However you can catch the plane from Ahmedabad or Mumbai to Patna which will cost you anywhere around 8000-10,000.